The Uyghurs, an ethnic minority living in Xinjiang (or East Turkestan), has been constantly brought to people’s attention as a typical case for violations of the rights of indigenous people. Organizations such as UAA (Uyghur American Association) have made multiple declarations and listed the crimes of the Chinese government for brutal “political reeducation” and religious restrictions on the Uyghurs. However, in the past month, the Chinese government has made several press announcements in denial of brutal treatments of Uyghurs and claimed it as part of the agenda for achieving higher social stability. While the Chinese press is often highly censored in favor of the government, it is unwise to jump to conclusions about the situation solely based on Western investigations. Undoubtedly, the Chinese government has denied Uyghurs of their autonomy, forced upon them bilingual education, and limited their religious freedom, which are all violations of the UN’s Declaration on the Rights of Indigenous People, yet taking into account the Chinese culture also brings in an interesting perspective. To understand the conflict and oppression in the area, one must consider the history of imperial China. During the eighteenth century, the Qing Dynasty occupied and took control of the Uyghurs’ land, and ever since then there have been constant efforts by the Uyghurs to separate from China. 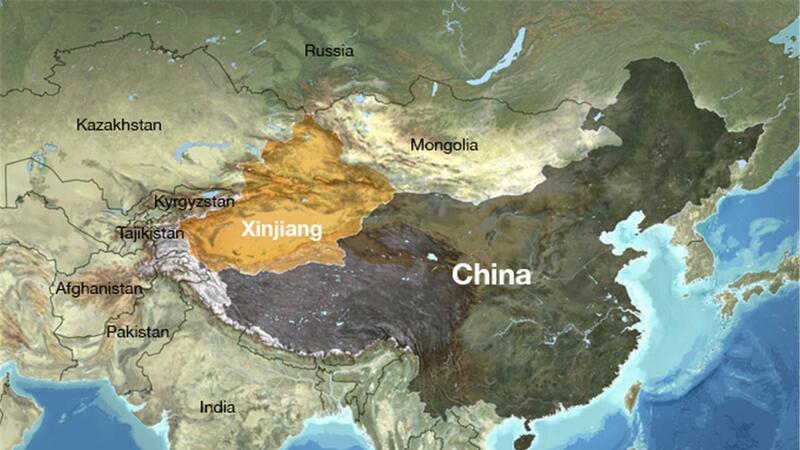 In 1949, the establishment of communist China terminated the short lived success of an individual Uyghur state. Divides within the state took place and different voices arose, including those of Pan-Turkish nationalists, Uyghur nationalists, and Muslims. A series of Uyghur terrorist attacks then took place, causing mass anxiety among the Chinese residents. Since ancient imperial China, violence occurred at the order of the emperor, save the occasional uprisings that mark the end of a dynasty. However, these uprisings usually do not take place unless there’s extreme corruption among the royalties that people go hungry and shelterless. In modern society, the value for peace and social stability was passed down through generations, so these unprecedented terrorist attacks easily rallied the commoners behind the government in support of stronger control of the Uyghurs. 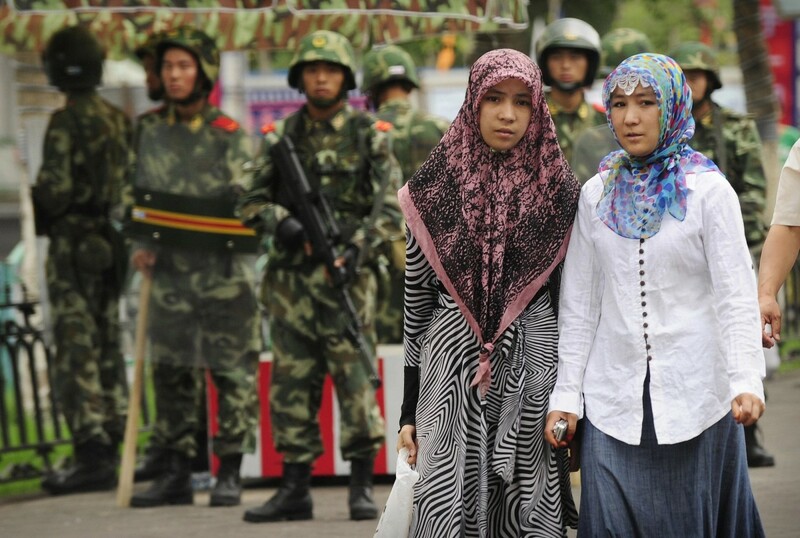 Many under-informed citizens have mistaken the practice of Islam for violent Uyghur nationalism and thus believe that Uyghurs are associated with violence. Such stereotypes can often cause greater oppression than the government institutions themselves, as many Uyghurs are denied jobs and rental housings merely due to their appearances and the connections people have made between them and terrorists. Ironically, in a country as ostensibly homogeneous as China, this racism actually permeates. These false stereotypes on their own have already violated Article 2 of the declaration about discrimination, and even cause restrictions on Uyghurs’ freedom because of conceived “danger”, which violates the first article. Aside from this cultural rejection, the Chinese government has also undeniably violated the human rights of these indigenous people by taking away their autonomy. Although the government claimed to grant Xinjiang Uyghur Autonomous Region “regional economy”, PRC has rejected all rising leaders of Xinjiang and eliminated the potential for someone to represent the Uyghurs’ interests. Moreover, in the past 100 years, the population of Uyghurs on the land has reduced from nearly 90 percent to about 45 percent present day. Additionally, for education, PRC’s strong push for having Mandarin taught in schools has been a violation to the cultural and educational autonomy of the indigenous people, which is claimed in Article 14 of the Declaration. Bilingual classes have been forced upon many schools in cities in Xinjiang, only to become part of a bigger plan of assimilation. Similarly, as an officially atheistic country, China has strictly controlled Uyghur’s religious practices, starting with the restrictions on Sunni Islam and infamously known “political educations”. However, the song and dance traditions are still intact and often presented on Chinese Central Television and a harmless representative of the Uyghurs’ identity. Interestingly, on top of all these, the Chinese officially reject the term “indigenous people” and consider it as a Western term established due to a long history of colonialism. It raises the question that whether it’s a form of ethnocentrism to judge the case of Uyghurs based on the situation of Native Americans and the rights they deemed essential. After all, the political tension and conflicts between the Uyghurs and the Hans, the complexity of different voices in Xinjiang, and the cultural representation of Uyghurs make it a completely different case to simply apply the Declaration on the Rights of Indigenous Peoples. To fully comprehend the situation will require further study from the perspective of cultural relativism and a deep understanding of the Chinese culture and its relationship with its neighbors. Previous article AmazonGo: Out Go the Jobs? Leo Xie is a 16-year-old student from Shanghai China, and a member of the class of 2019 from St. Mark’s School. He loves running and playing squash, basketball, and tennis. Leo has a strong interest in market analysis and he spent last summer studying that at Columbia University. At St. Mark’s, Leo is involved in Student for Sustainability and St. Marguerite’s partnership as his major commitments. He also loves music and plays in a jazz band as the bassist. Is #MeToo a Moment or a Movement? Or Neither?